For deal professionals, relationships matter. Bankers, advisors, lenders, and investors have long recognized the need to invest in relationship building to fully realize their goals (e.g., increased deal flow, more closed deals, greater visibility, new business, excellent referrals). Deal professionals invest thousands each year in booths, marketing literature, and personnel to make the most of their attendance at events across the country. They spend a significant amount of time, money, and human resources on the road. They network over countless lunches and introductory meetings to make sure potential new clients or portfolio companies know where to find them when the moment is right. 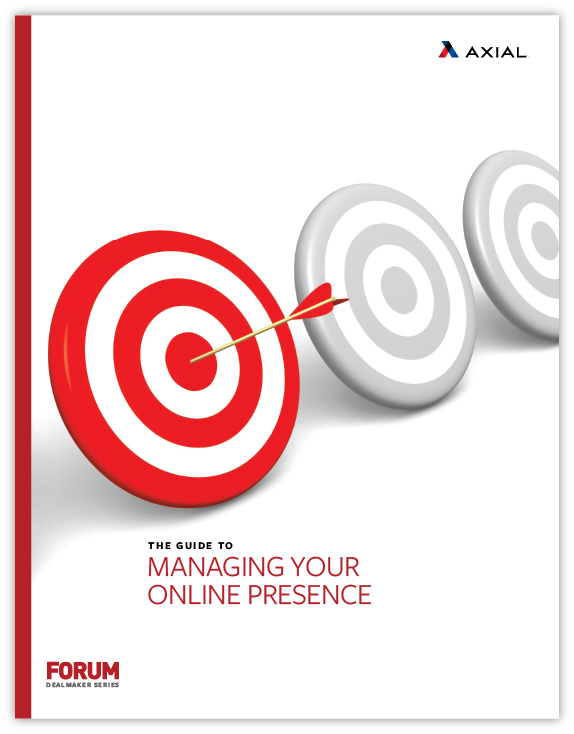 Today, it's just as important for deal professionals to invest time in managing their online presence. In this guide, you'll learn how to integrate your online and offline presence to make better connections and close more deals.